Therefore, the phenomenon of bachelorship or celibacy are UN-Islamic practices that result in devastation, effecting the Muslim community, and posing a threat to the Islamic world. What devastation? What threat on the Islamic world? The answers to these questions are found in the non-Muslim communities. Every day we hear and observe with our very eyes the perverted and sinful ways of the Kuffar (disbelievers). These ways which they find acceptable in their societies have ultimately led to many types of diseases such as A.I.D.S, syphilis and the like, as a result of their choice to follow the unnatural way of abstaining from marriage. The Islamic marriage contract has conditions, requirements, pillars and optional elements. A contract must fulfill the following conditions and pillars in order to be valid. The first of these conditions is that both the bride and groom must fulfill certain requirements. The groom must be a chaste Muslim having attained the age of puberty. He must not be related to the bride by any of the permanently prohibiting blood, milk, or marital relationships such as his sisters, paternal and maternal aunts, daughters, grand daughters and others. He must not be prohibited from marrying the bride for any of the temporary reasons stipulated in the Qur’an and Sunnah. So if a man has four wives, all other women become temporarily prohibited from him. Another example of a temporary reason is that as long as a man is married to a particular woman, all of her sisters become temporarily prohibited for him; that is he may not marry any of them unless he divorces their sister. Others include: women married to other men, simultaneously marrying aunts and their nieces, adulteresses and prostitutes that have not sincerely repented, including others in which the Islamic shari ‘a may have listed. The requirements a bride must fulfill is that she must be a chaste Muslim, Christian or Jew. She must not be married to another man, and must not be related to the groom by any of the permanently prohibiting blood, milk, or marital relationships in addition to not being prohibited from marrying the groom for any of the temporary reasons as stated above. The next element of the marriage contract is a mandatory marriage gift given by the husband to his wife. In Arabic, this gift is called mahr or sadaaq. Allah Most High said: “And give the women their dowry as a free gift.”10 He also made a commandment regarding by saying: “And give them their compensation as an obligation.”11 The mahr is the sole right of the wife and no one may take any of it without her permission – not even her parents. The dowry can be in the form of money, jewelry, clothing, or other material things. It can also be a non-material gift. The Islamic sharia has not specified any amount, but it should be in accordance with the husband’s financial ability and with what is reasonable for the bride in her social status. It is normally determined by agreement between the husband and the bride or her wali. A woman came to the Prophet (saws) and offered herself to him. He declined, so a man who was present with him said: “O Messenger of Allah! Marry her to me.” The Prophet asked him: “Do you have anything to give her?” He said: “No!” The Prophet (saws) said: “Give her at least an iron ring.” But he still could not afford it. The Prophet (saws) then asked him: “Do you memorise any portion of the Qur’an?” He replied: “I have memorised such and such chapters.” The Prophet (saws) then said: “…I marry her to you for the portion of the Qur’an that you have memorised.” This means that he is expected to teach her some of what he has memorised, and treat her kindly based on this memorisation. All of that would be much more beneficial to the bride than lots of material gift. Know that the best of dowry is that which is light and easiest upon the husband. This is actually a sign of blessing for the bride as the Messenger of Allah (saws) said: “Verily, a sign of blessing for a woman is that her engagement, dowry, and giving birth, are all made easy.”12 Umar ibn al-Khataab (r.a) once gave a sermon in which he said: “Do not be excessive in regard to the women’s dowries.” It is recommended to give the bride her dowry immediately after executing the marriage contract. Yet, it is a very common practice to divide the mahr into two portions, an advanced and postponed portion. Postponement of the mahr is, in general, an innovated inconvenience that departs from the normal practice found in the Sunnah. It defeats the very purpose, which is to be a gift prior to having any intimacy with the bride. At the time of carrying out the marriage contract, the two parties my wish to set conditions whose violation would invalidate the contract. This is acceptable as long as the conditions do not violate any Islamic principles. Prophet Muhammad (saws) said: “Every condition not according to the book of Allah is void, even if it be a hundred conditions.”13 An example of a condition may be that a woman stipulates that she remain in a particular homeland during their marriage. The conditions are normally set by the wife’s side, because the husband can terminate the marriage by uttering the divorce. It is recommended for the person conducting the marriage ceremony to start with Khutbat-ul Haajah that was reported by Ibn Masoud and Jabir in at-Tabaraani and Bukhari in At-Taareekh. The main and actual pillars of the contract are the offering and acceptance known as Ijaab and qabool. They signify the mutual agreement and acceptance between the two parties to join in this marriage bond. The Ijaab and qabool must be stated in clear, well defined words, in one and the same sitting, and in the presence of the witnesses. The person conducting the ceremony may help the two parties say offering and accepting words. 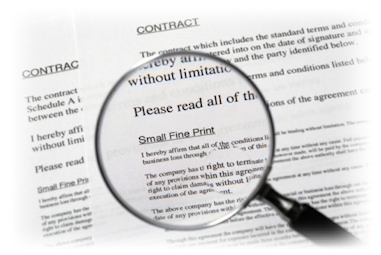 Documenting the marriage contract is not a requirement for the contract’s validty. However, it is important to document it for future reference and to preserve the rights of the husband and wife. Once the marriage contract is executed, all rights and responsibilities for the two parties become immediately due. We ask Allah to bless us with beneficial knowledge and cure us from the ailment of ignorance and blind following, and Allah knows best!